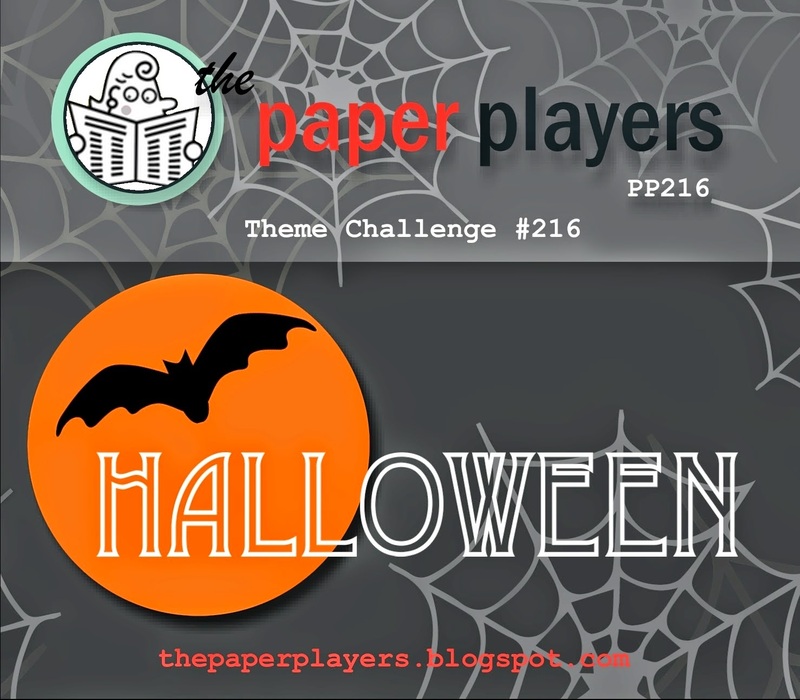 I don't usually make too many Halloween cards but I wanted to play along with the Halloween challenge over at The Paper Players. 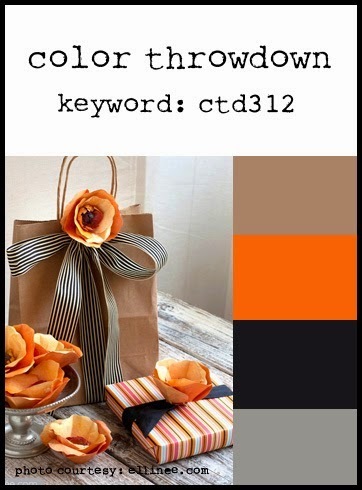 I used the colours from last week's Colour Throwdown challenge as they were very Halloweeny (although obviously I'm too late to play along). I was inspired by the Paper Players photo and went with a black cat silhouette in front of the moon. I used a mixture of Sweet Stamp Shop and Neat and Tangled stamps and a Papertrey die. I love it when different companies work so well together! Time to head off to work. Hope you have a great day! What an adorable Halloween scene you made Jen! Too cute! Adorable card, Jen! Love that our badge inspired you...thanks for sharing with us at The Paper Players! Love your cat sitting on the fence, Jen. You didn't really cut that fence out by hand, did you? Yowzers. 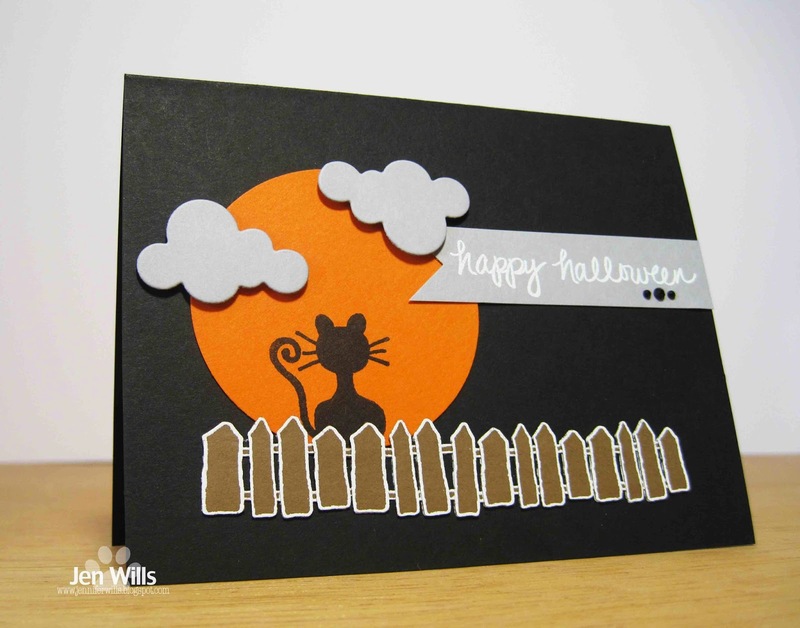 Love the card, especially that cute cat silhouette! Adorable, Jen! I love the fence and that huge Halloween moon! Thanks for playing with The Paper Players! Love the orange moon and the overall composition of your card. It really does have lots of similarities to this week's challenge badge! 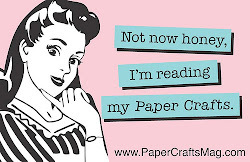 Thanks for joining us over at The Paper Players this week. Fantastic Halloween card Jen! I love how you used the black cat against the orange moon. So glad you shared your creation at The Paper Players. This is adorable. What a cute Halloween scene.